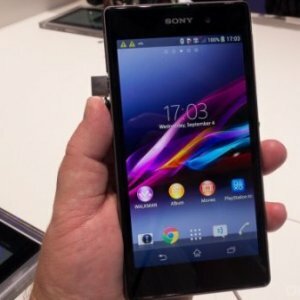 Sony’s new Xperia Z1 is all about its camera. The company announced its new 5- inch waterproof Android Smartphone at the IFA in Berlin that boasts a 20.7 megapixel camera powered with the G lens. The phone will launch in the UAE in September and should be available in time for the Gitex Shopper. So what’s new in the Smartphone? Indeed it is the camera. Sony claims that independent tests have proved the camera in Xperia Z1 provides the best overall image quality of all leading Smartphones. The G lens, it says, is powered by a 27mm wide angle and bright F2.0 aperture, custom made large 1/2.3-type CMOS image sensor Exmor RS for mobile with 20.7MP and a BIONZ for mobile image processing engine, thereby, enabling sharp and bright images even in lowlight conditions. Sony has also incorporated additional features that make the photo-taking experience more vibrant through several in-built applications such as Social Live, Info-eye, Timeshift and AR effect. Social live: The feature enables a user to broadcast live from Xperia Z1 to Facebook and get friends’ comments directly on the screen. Info-eye: Capture an image and this feature through its visual search function provides related information on landmarks and on items such as books.